Hyundai after making a merger with Nishat group is planning to launch its new design Hyundai H1 2018 in Pakistan. It is expected to be powered by a front-mounted 2.4L petrol engine. It is going to be a 9-seater bus which is highly recommended for big families. It offers plenty of storage space for luggage and different items. The price of 2018 Hyundai H1 in Pakistan is yet to be confirmed by the Hyundai officials, but according to some market rumors related to its price is that it will be around Rs.55,00,000. The competitor of this big and compact design bus by Hyundai in Pakistan automobile industry is going to be the Suzuki Ertiga 2018 or the 2018 Toyota Avanza. Hyundai officials have not announced any news related to the launch date and price of the new Hyundai H1 2018 in Pakistan. However, there is an expectation that it will be officially launched in October 2018 at an approximate price of Rs.55,00,000. Competitive price and advanced specs are the key features which will make this new design van by Hyundai different from other brand vans with same engine specs. 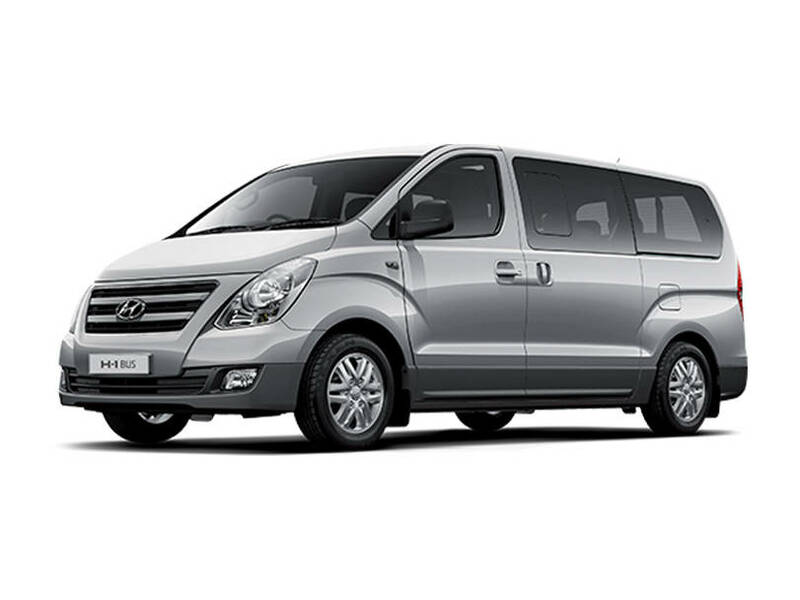 The buyers who are planning to buy this spacious van by Hyundai but want to compare it first with other brand vans with same engine specs and features, click here Compare Vans. Furthermore, the people who are interested to check the vans available in this price tag, click here Vans.